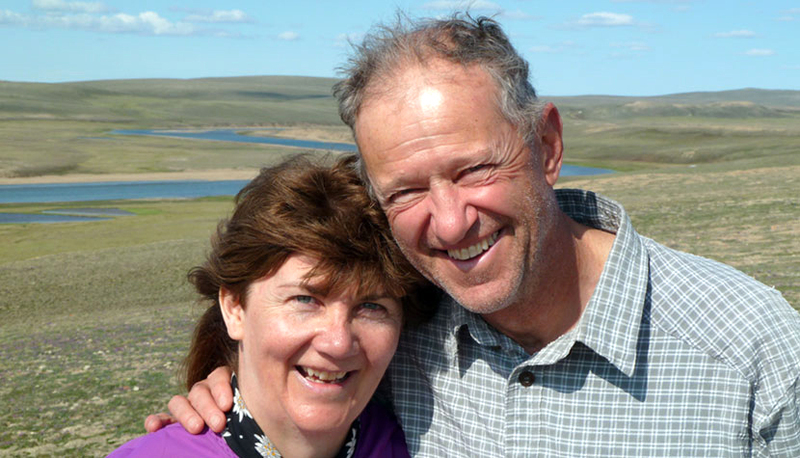 Claire and Ed Festel, pictured here during a trip to Banks Island in the Canadian Arctic, left a Whitehorse apartment building in their will to the SOS Medical Foundation. The building was recently sold for more than $1 million to help provide medical equipment for the PRH expansion. Northern Canada held unlimited appeal for Ed and Claire Festel. Now the late Penticton couple’s estate has directed more than $1 million to Penticton Regional Hospital. The money was generated through the sale of an apartment building in Whitehorse that Ed left in his will to the South Okanagan Similkameen (SOS) Medical Foundation. Swiss-born Eduard Festel passed away at age 65 in August 2016 – just two years after Claire’s death in June 2014 at age 57. The couple had no children, but plenty of friends. Fellow members with the Penticton Flying Club say the Festels’ hearts belonged to the Far North. Ed, an experienced pilot, moved to Canada in 1984 and soon purchased a wilderness lodge in the Yukon. Long-time friend Beat Korner said he met Ed at a presentation he made in Switzerland in the early 1990s. In addition to the lodge, Ed ran wilderness kayak/canoe tours down the Yukon and Teslin rivers as well as dog team excursions. Claire was born in Gaspé, Quebec and later moved to the Yukon where she at first became involved in the mining industry. She met Ed in 1994 while she was applying for a job with Tourism Yukon in Whitehorse. They quickly discovered they shared a deep passion for the North and married in 1998. Claire even operated her own trap line for a few years. Ed and Claire went on several excursions to the High Arctic, including a trip to remote Banks Island next to the Beaufort Sea. At one point, as Claire’s health began she fail, she urged Don to take her place joining Ed on a group flight to Nome, Alaska. Several other small planes were also involved. Ed sold the Frances Lake Lodge in 1999. However, he continued to own a 23-unit apartment building in Whitehorse, even after he and Claire moved to Penticton in 2009. They also kept their own unit in the building – Claire could not leave the North without knowing she could return whenever her heart desired. In the Okanagan, Ed quickly became an active member of the Penticton Flying Club and helped resurrect the local branch of the volunteer Civil Air Search & Rescue Association (CASARA) which helps search for missing aircraft and other emergency situations. Marcel Siegenthaler, a fellow Flying Club member who has helped administer the estate, said the bequest Ed left in his will reflects his true character – someone generous with his time and talents. The money from the recent sale of the Whitehorse apartment building has given a big boost to the SOS Medical Foundation’s $20-million campaign to provide medical equipment for the PRH expansion. More than $16 million has now been raised, with the hospital’s new patient care tower due to open in April 2019.